Symbiosis School of Banking & Finance was established to address the growing demand for trained workforce in the Banking and Financial Services Sector. Given that a strong and resilient banking system is critical for fuelling and sustaining growth, the importance of having industry-ready manpower cannot be over-emphasized. This programme - MBA (Banking and Finance) has been designed to provide the necessary education and skill-sets to equip students to innovate, manage, lead and take on the challenges of this increasingly complex and dynamic sector. SSBF is committed to providing an environment that facilitates learning and development of well-rounded personalities such that they leave the portals of the institute as industry-ready professionals. 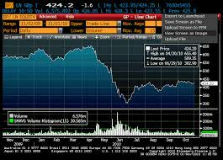 "Banking sector is increasing in scale and complexity. There is need to recruit and train the additional staff as public sector banks will have to face the challenge of retirement of a large part of their workforce. 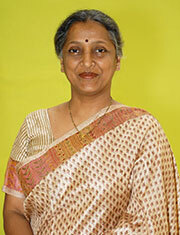 Some estimates suggest that close to about 500,000 employees of public sector banks would retire over next five years. Apart from this, the Banking & Financial Services Industry as a whole is on the path of growth and is at the same time wrought with challenges. This sector needs more and more readily employable trained professionals to rise up to the occasion. 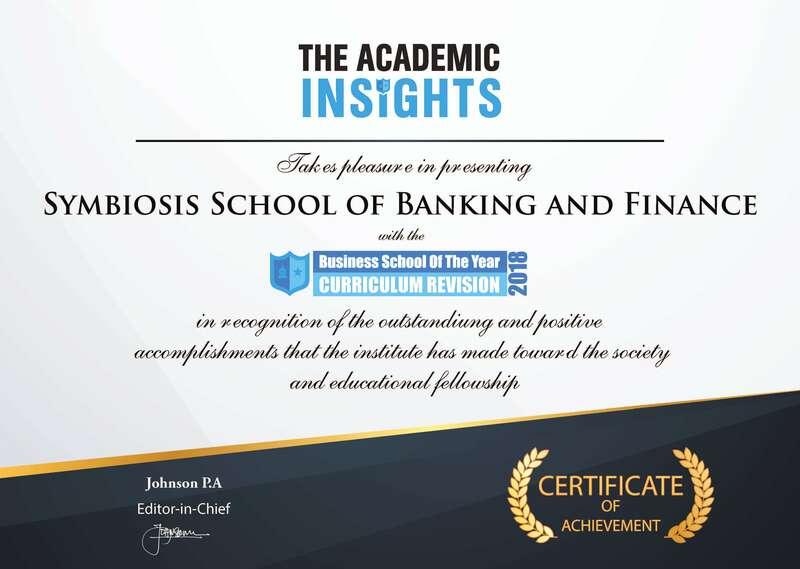 It is in recognition of this need that we have set up Symbiosis School of Banking Management. 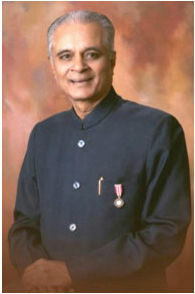 I am confident that the students are adequately equipped with the knowledge and trained with the necessary skill sets". “With the potential to become the fifth largest banking industry in the world by 2020 and third largest by 2025 India’s banking and financial sector has been expanding rapidly. This sector needs trained professionals to rise up to the occasion. With this view in mind, the University has set up Symbiosis School of Banking and Finance and I am confident that the students here are trained with the necessary skill sets and competencies to be readily employable for the BFSI." 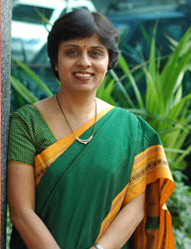 "Banking today is an emerging field ,gaining importance and having a huge potential. The banking industry needs professionals with right skills and competencies. 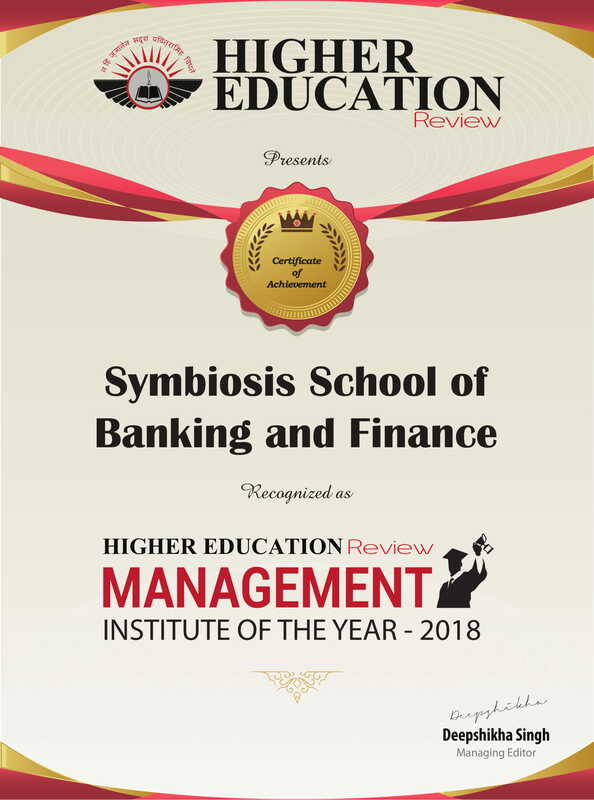 The Symbiosis School of Banking Management grooms the students through theoretical and practical aspects of National and International Banking and the Financial services sector. The programme prepares the students to apply their all round knowledge based learning such as General Management, legal aspects, Treasury Management, Risk Management, Portfolio Management and other related topics to the financial world. The students of the School develop into well trained, young professionals who can accept challenges, compete with the best in the field and be professionally qualified bankers with leadership skills and sense of social responsible. I am confident that the students of the Symbiosis School of Banking Management will be well received and sought after in the Banking and the Financial services sector". Collective wisdom as a worldview is a break with classical ideas of group behavior that are defined by singular determinants such as motivation, leadership, or interpersonal communication. It is instead an expression of the belief that there exists a field of collective consciousness that is real and influential, yet invisible. "The Power of Collective Wisdom"
We at SSBF believe in the power of collective wisdom and are privileged to have the following very experienced and accomplished professionals to guide us and give direction to the institute. SSBF is recognized as Management College of the Year 2018 by Higher Education Review Magazine. SSBF is recognized as the Best School of the Year 2018 for Curricular Revision by 'The Academic Insights'. SSBF awarded the "Best Institute in Banking and Finance" by Dewang Mehta National Education Awards on 25th November, 2017. 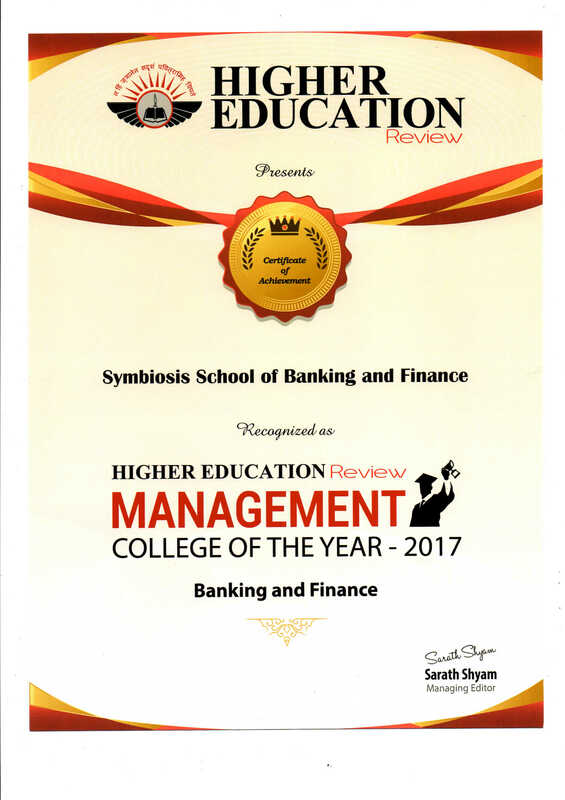 SSBF adjudged "Management College of the Year 2017" by Higher Education Review. 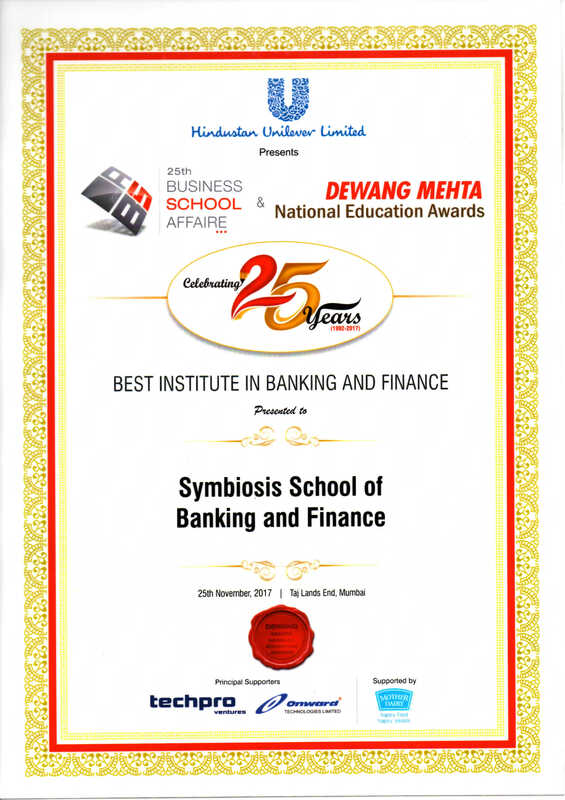 We are happy to announce that Symbiosis School of Banking and Finance has been awarded the ‘7th DNA and Stars of the Industry Group Innovation Award for Education and Leadership’ 2015. 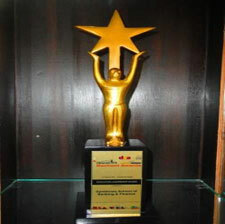 The award is in recognition of leadership, development, innovation and industry interface of business school. The award function was held on 18th Feb 2015 at Taj lands Ends,Bandra Mumbai. Recently, SSBF secured second position in all over India Bloomberg sponsored Trading competitions “So you Think You can Trade” (5th Jan 15-5th Feb 15). 105 active teams participated from 27 eminent B-School vis-a vis IIM Kolkata, IIM Bangalore, MDI Gurgaon with their respective trade ideas to beat the market with their respective stock gyan. Among top 15 national finalists 5 teams from SSBF made into that list with their respective trade ideas. 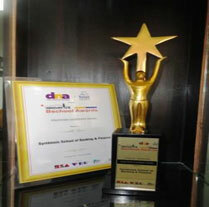 Symbiosis School of Banking and Finance awarded the 6th DNA and Stars of the Industry Group Innovation Award for Education and Leadership’ 2014.